“Your hearing is going to be fine, you’ll be pleased to hear.” the Sanctuary doctor said, peering into Nixion’s ears, completely ignoring his personal space. On the outside Nixion made an effort to scowl. On the inside he remained slumped and depressed. He was still recovering from the death of Thomas. Nixion felt that it had been his own fault that Thomas, the thirteen year old boy with a caring family, had been killed. In actual fact, Nixion had had nothing to do with the boy’s death, but he still felt guilty for some unknown reason. It was only then did Nixion realize what was going on. These things kept happening inside of him, things that he kept feeling that normally don’t stir at all; Nixion was changing, and, thus far, he could not tell whether or not he liked where he was heading. Nixion was brought back to Earth by the Healer who bent down and spoke louder and closer to his ear. “Or perhaps not…” the healer said purposefully. Nixion let out a yell of surprise and jerked away from the healer as he laughed. His mood did not lift, but Nixion could not help being slightly glad that his hearing was going to be fine. He had been worried that they had been delayed for too long or damage done had been too extensive. “Don’t try something like that again or you’ll find your world a land of pain.” Nixion continued in a snarl, trying to appear like his usual arrogant, superior self. “Uh…right.” The healer said shiftily, seeming to regret his moment of amusement which made Nixion feel superior again, more like his usual self. They were back at the Sanctuary. Again. Nixion could see now that this would most likely be the base of their operations until this was all over. He had originally thought that Mist might have wanted to use his house/base for the main meeting place and, at the time, Nixion had despised the idea. He now found himself wishing they were using his place for the base of operations. He felt so involved in this now. Keeve, Nixion had been informed ten minutes ago by an irritable Mist, was currently being looked at by advanced Healer’s and Sanctuary doctors. Nixion was all for killing Keeve on the spot, but apparently that was illegal. Still, Nixion doubted that the Grand Mage would really mind. He didn’t seem the responsible kind of type. “Well…yes, you might have a little bit of a hard time hearing for the rest of the day, but no permanent damage has been done.” the healer continued uncomfortably as if frightened of displeasing Nixion. Now he laughed on the inside. Nixion was saved from having to answer the healer by Mist slowly entering the room, one hand on his forehead. “Headache…” he muttered in reply to Nixion’s inquiring raised eyebrow. Mist had been sombre since they had found Thomas dead, and didn’t even seem to care about the fate of his hearing. Instead, he had busied himself with debriefing the Grand Mage, who was apparently now obligated to personally oversee the investigation now that someone had been killed, and other tedious tasks such as the writing of the report on the incident and the paperwork for Thomas’s death. “The report’s done, the Grand Mage has specially assigned a squad of fifteen Cleavers to our use whenever we need them on this case and apparently, we are the top people on the priority list to everyone working at the Sanctuary.” Mist told Nixion, squinting as he struggled to form understandable thoughts through his headache. He sighed and looked up at the healer. “How was Thomas killed?” Mist asked the healer in a hollow voice. This was something Nixion still did not understand. Why had a weak sonic wave attack from Keeve killed Thomas while one ten times as strong had not killed either him or Mist? Did the intensity vary for different people? The healer sighed. “Unfortunate?” Mist asked incredulously. “Unfortunate? Someone lost their life and it was unfortuna-?” Nixion cut in quickly to avoid an argument. “And how’s Keeve doing?” he asked sharply. This made Mist stop talking at once and Nixion knew why. They were obviously being played here. The Remaining had been waiting for them. A quick search of the rooms showed that they weren’t being used, so Keeve and the Hollow Men must have gotten there recently, tipped off by someone. They wouldn’t have been stupid enough to actually stay there, so the army must have been an ambush, an ambush for Mist, Nixion and Thomas, obviously. So this meant that one of their allies was actually a traitor. The only way to find that out would be to get the information out of Keeve. Nixion was confused about one thing though; why had it been such a bad ambush? He knew that The Remaining must have placed the only metal that would kill Thomas there on purpose and picked Keeve to lead the attack because he would be able to produce the sonic waves to kill whoever was wearing it. Which could only really be Thomas seeing as he was the only who could bend the metal to fit him. They only had one of The Remaining there. They could’ve all attacked at once and killed Nixion and Mist along with Thomas. So why hadn’t they? The only explanation that Nixion could think of was that they wanted everyone else alive. And that unnerved him. The image of Keeve trying to get him to change sides, to join The Remaining, flashed into Nixion’s head and he shivered. It involved him. He knew it did. The healer frowned at a checklist he had raised to eyelevel. “He has…” he said as if preparing himself for something. “One snapped collarbone, two minor fractures in his skull and one major, three broken ribs, one of which has punched his lung, and extensive muscle damage in his right shoulder. His left arm is broken...” he continued, scanning the list. “There’s a hairline fracture along his left shin has apparently lost all vision in his right eye.” One of the Sanctuary agents nearby overheard and looked up at them in surprise. Nixion shrugged. “When we do things, we make sure we do them right.” He said a matter-of-factly. For the first time since the fight, Mist looked like he might smile. He seemed to struggle for a moment, though, and the smile decided not to make an appearance. “We need to talk to him,” Mist said tonelessly. “Now.” The healer looked bemused. “Keeve isn’t fit for any kind of interrogation at this time and will not even be stable for a few days at the least. Your friend here damaged him quite extensively, and he needs to be kept under extreme medical care.” He said, gesturing to Nixion. “It wasn’t all me,” Nixion replied, pointing to Mist. “He threw him off the stage.” This made the healer look even grumpier, if possible. “Can’t you just do a quick patch up? Like a mortal doctor, but faster.” Mist asked him in the same, dead voice. The healer gave him a look. “Do you want me to read the list of injuries again?” he asked sceptically. “When will he be ready then?” Mist asked, impatience making an entry into his tone. The healer sighed, shook his head and checked another clipboard. After making a few adjustments to it with a pen, he looked back up at Mist with an answer. “I would prefer to have him alone for a few weeks at least to make sure he is going to stay alive, but the Grand Mage has given us all orders to have whatever you want read.” He said irritably. “So give us a few hours. He’ll be stable an in a condition to talk…” with that, he strode out of the room, a tray of tools in his hands that reminded Nixion horribly of the sharp objects that had been used to torture him. Mist remained immobile for a moment more, then nodded and exited the room again, Nixion following suit. “So what now, then?” Nixion asked him. Mist half yawned as he answered. “I don’t know about you, but I’m dead tired. I’m going to catch some sleep.” Nixion nodded but did not reply, and started thinking hard. Making a decision on the spot, Nixion began to walk towards the lounge where a few couches lay holding the majority of the group and Mist followed. But Nixion quickly changed direction again and he saw that Mist appeared to be thinking so hard, he didn’t even notice when Nixion lead him to the holding cells. He turned on Mist once they had stopped and Mist was snapped out of his trance. “What the hell is wrong with you?” he asked angrily. “Why are we here…?” Mist asked, looking around the prison cells and ignoring Nixion’s own question. He was the one who hadn’t been paying attention, thinking about his past. If Mist was doing this as well, they could miss something important. One of them had to be paying attention to the things happening around them, and it sure as hell wasn’t going to be Nixion. “What the hell is wrong with you?” Nixion repeated and Mist bit his lip. Then he said something to Nixion that was so unlike Mist that Nixion had to grin. “Only as a last resort,” he warned Nixion. “Yeah, sure.” He replied quickly, but he was buzzing at the chance of doing something like that. Mist gave him a sad look as if he knew that he was enjoying the fact that he was loving something that everyone else would hate. Nixion was being pitied. Nixion didn’t care though. He walked back towards the lounge, thinking happy, violent thoughts. He was still thinking them as he fell asleep and his dreams were of violent days. “You be deaded,“ Nixion said happily to the corpse. Not that the corpse could hear him. Kind of hard to do without a head. Nixion swaggered over to another corpse. He frowned at it as it shivered and stared up at him, looking frightened. This corpse wasn’t dead. It was an alive corpse. Was it a corpse if it wasn’t dead? A corpse was a dead body, and this body was definitely alive. It was an alive corpse, Nixion decided. It would be dead, but it just wasn’t now. The alive corpse splayed its hand, and Nixion was sent flying backwards through the air. Grunting, he landed heavily on the grass and grinned after sitting up. It was a magic alive corpse. He leaped up and easily dodged a fireball that had been hurled in his general direction. Nixion didn’t get the chance to fight as much as he wanted to anymore. Mostly he just killed people. Mortals and sorcerers alike, neither group ever put up much of a fight, which was a shame. Today he had decided to stalk a group of people to this grassy area, and had taken leisure in killing them. He wasn’t quite sure how he had managed to miss this one. Vaguely, Nixion wondered whether or not they had all been sorcerers. It didn’t matter anymore, though, so he stopped dwelling on it. “Annad.” He said out loud, leaning over the magic alive corpse, snarling. “Huh?” the magic alive corpse asked him, desperately trying to get to its feet. “ANNAD!” Nixion roared, his hand suddenly brandishing his machete. “ANNAD!” his machete-arm flew around the air wildly and as the magic alive corpse attempted to push him backwards with the air again, Nixion cut off its hand with a vicious swipe. It roared and clutched its stump to its chest. The roar turn into pitiful weeping and Nixion shook his head, trying to clear it. It still had one good hand but just sat there, crying. Nixion plunged his machete into the magic alive corpse’s chest, and it became just a corpse. He laughed for a moment, before bringing a glare to his face which was directed at the grass. “No,” he said firmly. “Dead corpse.” Then he grinned evilly, and ran off into the night. Except that it was more of an uneasy stagger away from the scene. And it was broad daylight. “He’s ready,” Mist said at once before walking into one of the rooms. Nixion took a deep breath before following, amazed that Mist had waited for him. Keeve was sitting in a chair looking thoroughly depressed. A large bandage was wrapped completely around his head like a turban, only an extension had also been wrapped around his eye. His arm and leg were both in casts and a large rise in his clothing around the ribs told Nixion that they were also covered in bandages. There was a table in front of him, and a chair on the other side. He was shackled, each hand cuffed to the arm of the chair. The magic in the room wasn’t bound, but his magic was because of the handcuffs. Mist sat in front of him. Nixion stood, leaning against the wall. Keeve looked at Mist, seeming amused. “How are you feeling?” Mist asked. Keeve moved a little. “Sore.” he said. “But healing.” Then he smiled. “How are your ears?” Nixion had to bite back his response. “There fine,” Mist said. Nixion felt furry rise up in him. He would have loved to smash that smiling face against the table. Instead, he walked over and stepped on his prisoner regulation shoe, which was paper thin. “Would you like a glass of water?” he asked innocently, while under the table his boot crushed Keeve’s foot. Keeve gasped and looked up at him. It took a second, but he shook his head. Nixion smiled and stepped back to the wall. Keeve looked at him, his eyes still watering. “I don’t know what you mean.” He said finally. “Tell us. Please.” Mist was practically begging. This interrogation was going horribly…Keeve stayed silent. 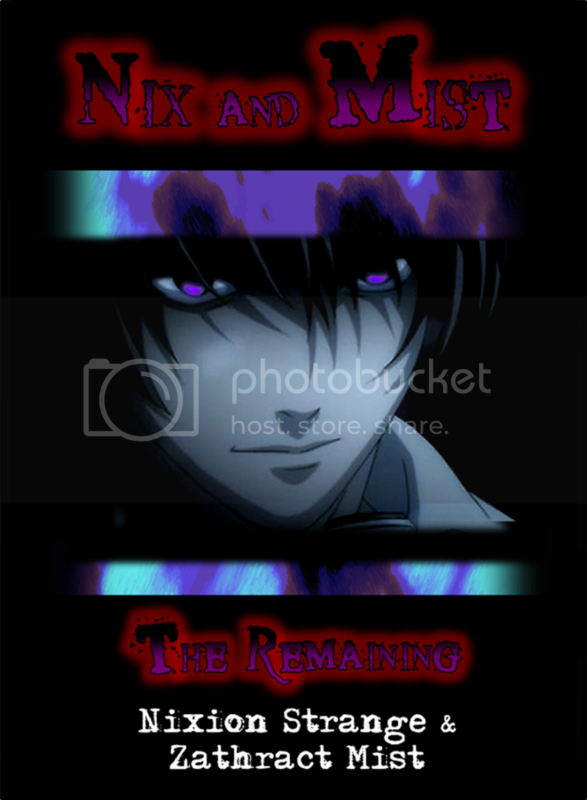 “Last chance,” Nixion said threateningly. No reply. Mist sighed and stood up. He nodded at Nixion and walked out the door. Nixion moved around and stood opposite Keeve at the table. Keeve watched Mist leave. Then he smiled at Nixion. “Something like that,” Nixion agreed, then pushed the table powerfully. It slammed right into Keeve’s chest, knocking him over in the chair. Nixion pulled the table back and walked over to Keeve, who was lying on the floor, gasping and wincing. “Who’s the traitor?” he asked brutally. Keeve just shook his head. Nixion smiled. “You don’t want to do this with me.” He waited a few seconds, then reached down and tapped Keeves elbow. Keeve howled in pain as his good arm broke. “Just tell me who the traitor is,” Nixion demanded. Keeve sobbed in pain, but didn’t say a word. Nixion pulled a key out of his pocket, and released Keeve’s arms from the chair. Before Keeve could try anything, Nixion pulled his broken arm behind Keeve and shackled it to his other arm. Nixion then pushed Keeve to the ground. Keeve moaned as his broken arm was put beneath him, keeping all his weight on it. “I’m giving you one last chance. Tell me what I want to know.” Keeve stared defiantly at Nixion. Nixion tapped his fingertips against Keeve’s knee, making sure to break it in such a way that the bone pressed into the muscles tendons behind the knee. Keeve opened his eyes wide in shock. He tried to breathe but only wheezed. “Who is the traitor?” Nixion asked. 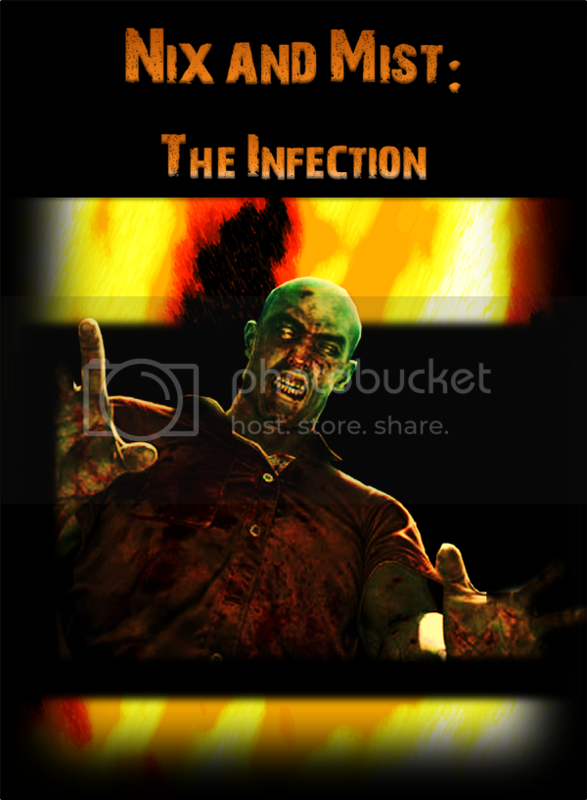 “Who?” Nixion stepped on Keeve’s knee, pressing the bone even deeper into the muscle tendons. Keeve screamed and screamed, the sound reverberating against the walls sending them crashing against Nixion’s ears which reminded him horribly of the sonic waves. Nixion knew, even with the Sanctuary Healers, that Keeve may never be able to walk again. Keeve nodded furiously, still screaming. Nixion stepped off the knee and knelt down to Keeve. “Do we have a traitor?” Nixion asked. “Who?” Keeve shook his head again. Nixion pressed down on his knee with one hand. “I don’t know,” Keeve cried. Nixion stopped pressing down on Keeve’s knee. “They had one of those voice changer things. I couldn’t tell.” He gasped. Nixion sighed and stood up. “You really are a pathetic criminal, you know…” He walked out the door and saw a passing Sanctuary agent. “Will you tell the Healers that they missed some injuries on that prisoner,” he said, motioning back to the room before turning to Mist. “There aren’t any cameras in there.” Mist told him. “We shouldn’t have done that,” he said, bitting his lip again. Nixion shrugged. “We found out that we have a traitor, didn’t we?” In truth, Nixion was regretting it as well. He hadn’t enjoyed that as much as he thought he would, which surprised him. Once, he would have loved doing stuff like that. Was he changing? “So what do we do now?” Nixion asked him dejectedly. They had no leads, and had someone watching their every move. Mist looked at Nixion. “We wing it.” He said simply. And walked off. Really good, but...he cut off his hand twice? DAS WAR SEHR SEHR GUT! Ich gern the way Nix is sorta feeling a bit conflicted seeing as half of him wants to be an insane killer and the other half wants to be one of the good guys. Und for the last post, JA, ICH NIX AND MIST GELESEN! Your standards are dropping. That's 4 mistakes in one chapter. Love the rat. Can't wait to find out who it is! That would be, uh, my fault. My concentration hasn't been the best lately due to...things. Sehr gut, danke. I understand.